The beautiful and humble Queensland pineapple is so strong, yet spikey, beautiful and not. It is interesting and sweet, or sour... you never know what you might taste or experience. This pineapple is about those tropical summer nights and enjoying freshly sliced pineapple and tasting the sweet aroma on your lips and drinking the juice. This is what gives us joy. 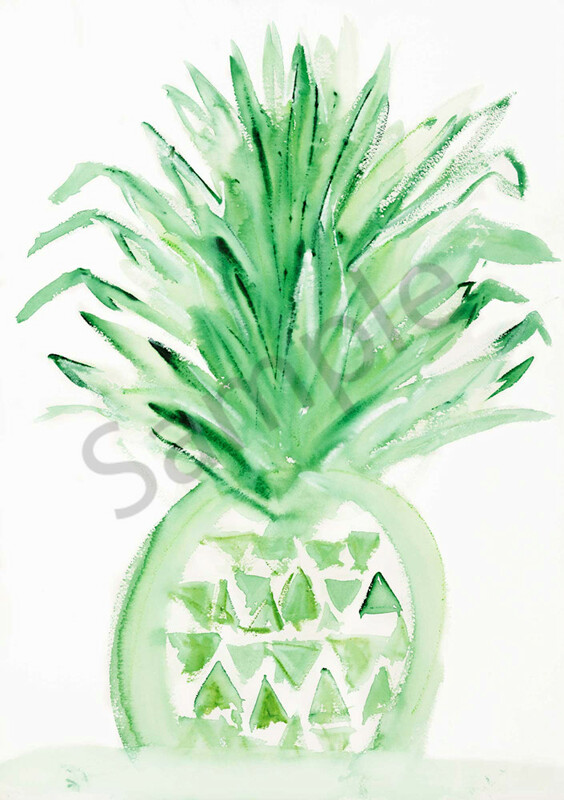 Painted using Windsor and Newton watercolour paints and the original on Arches watercolour paper, the pineapple is a personal favourite of mine. I always display them in my home like a bunch of flowers and if I'm having a dinner party it is not uncommon for me to put a few on the table to bring the feeling of the tropics inside. Often on the weekend I'll go to the local farmers market to buy a couple when they are in season. Simple joy is everywhere, we just have to look, stop and get present to it.